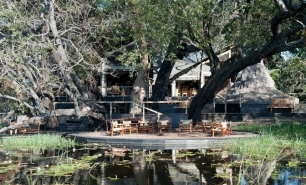 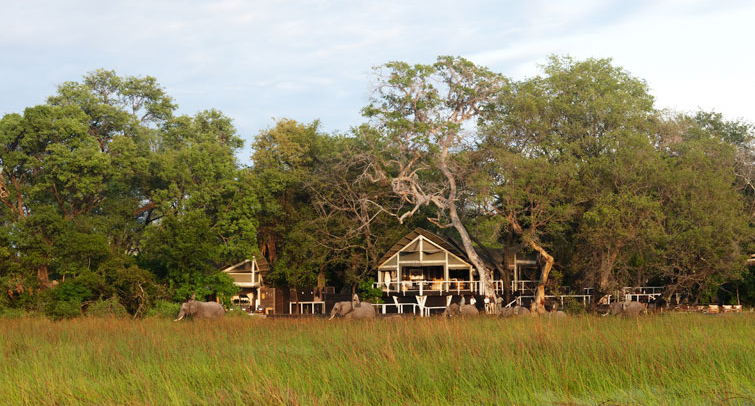 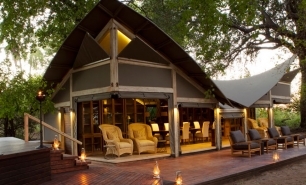 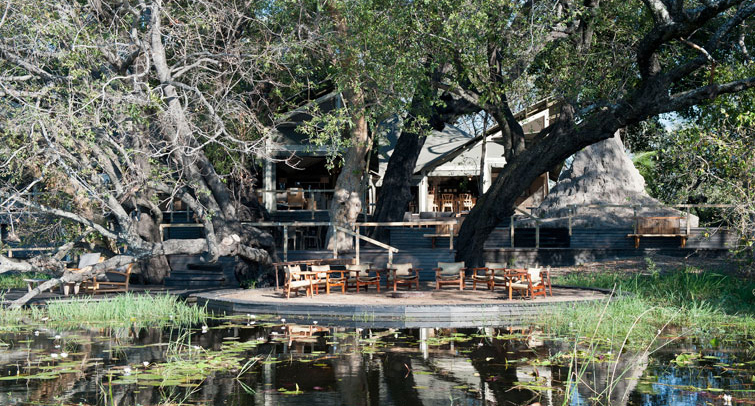 Abu Camp is a small and exclusive all-season camp located in the vast 180,000 hectare private Abu Concession in the southwestern part of Botswana’s Okavango Delta. 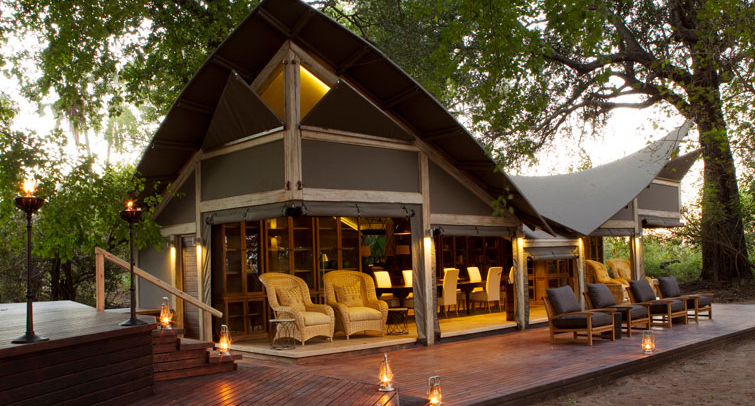 Abu Camp reopened in April 2011 after being completely rebuilt and refurbished. 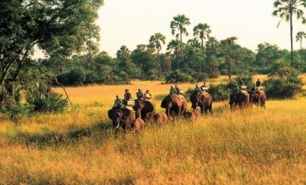 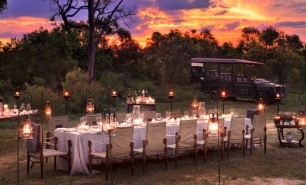 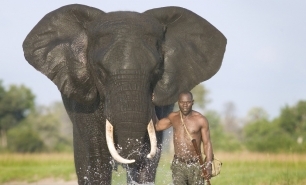 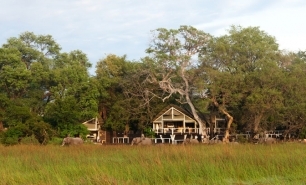 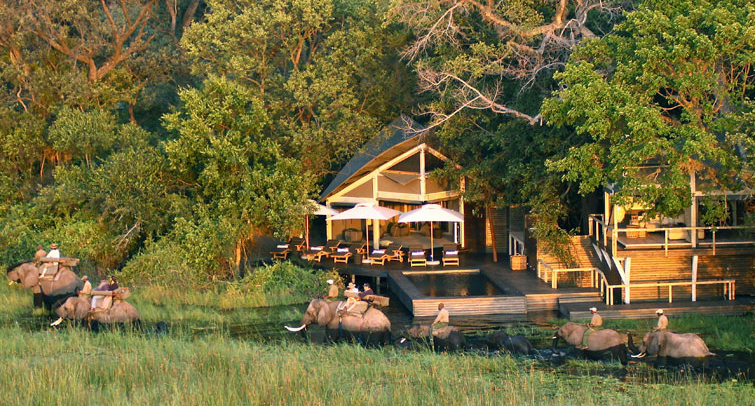 The camp has rightly acquired a reputation as one of Botswana's preeminent accommodation options and one of the few places that provides opportunities to ride on or walk with a trained herd of African elephants. 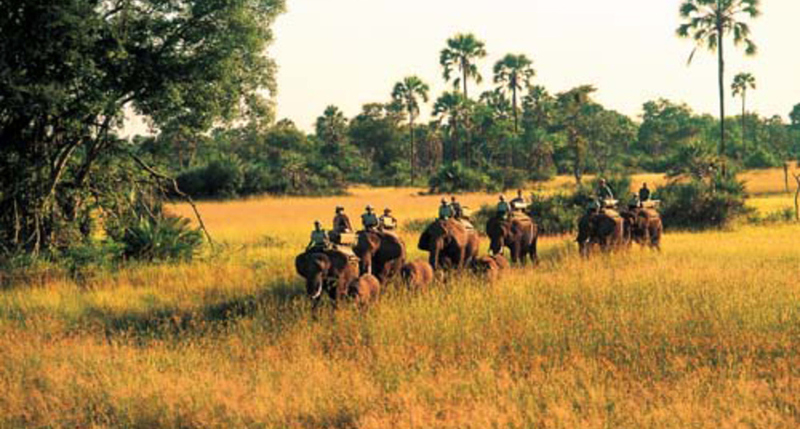 There are plenty of opportunities to ride, feed, photograph, and observe elephants as they swim and bathe. 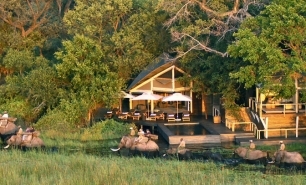 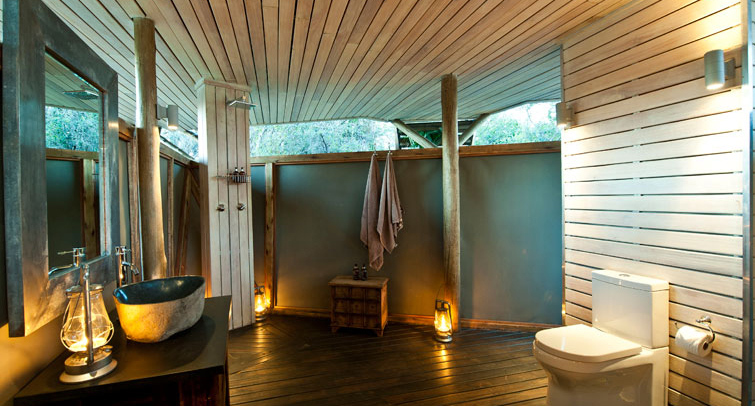 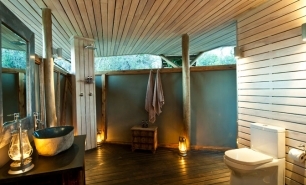 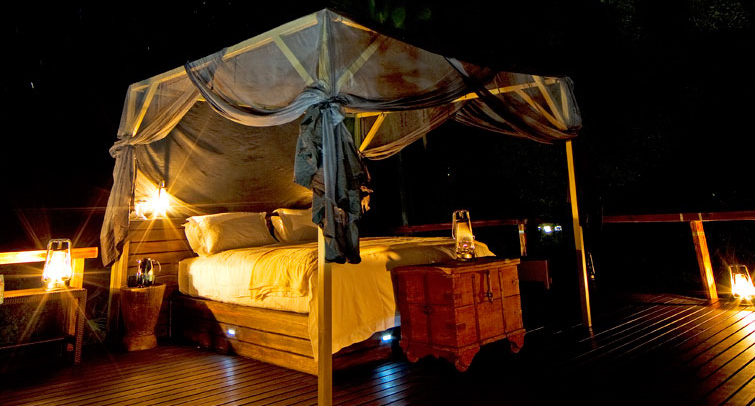 There is even an outside platform which guests can book to sleep next to the elephants. 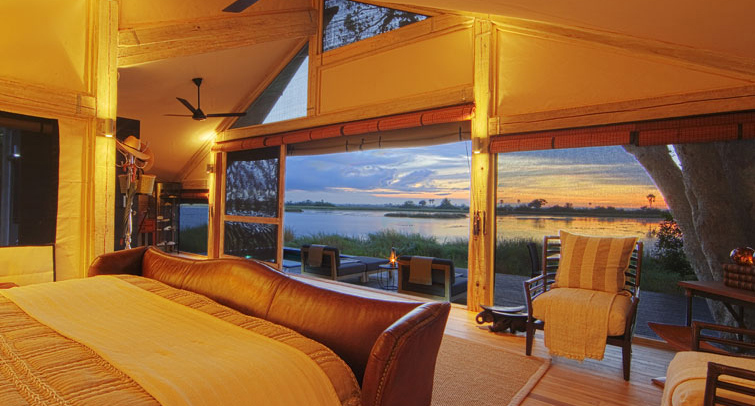 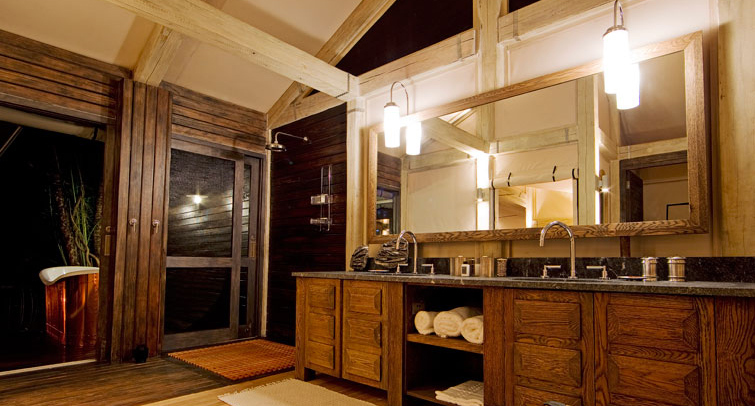 Abu’s six luxurious canvas and wood cottages overlook a tranquil lagoon and are shaded by hardwood trees. 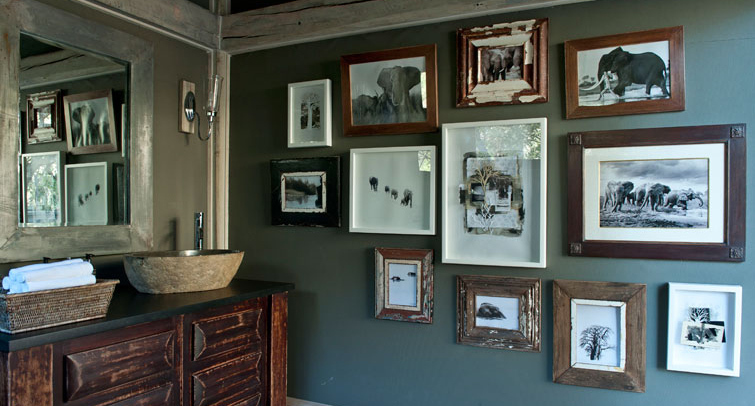 They are not air-conditioned, but are well cooled by ceiling fans. 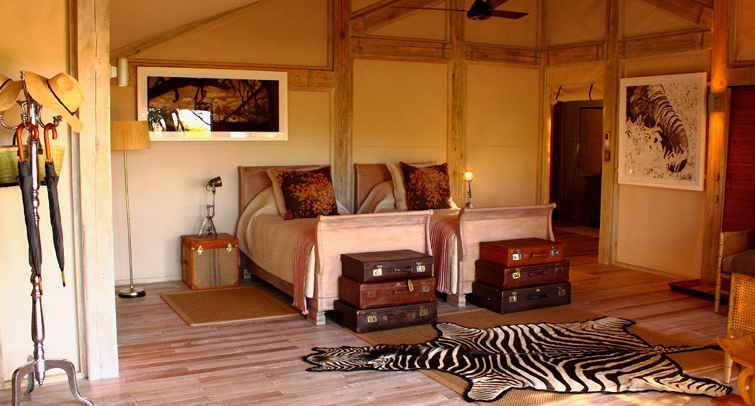 All have been individually decorated and have wooden floors, four-poster beds, armchairs, and writing desks. 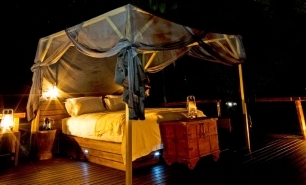 Each cottage comes with a sundeck with loungers. 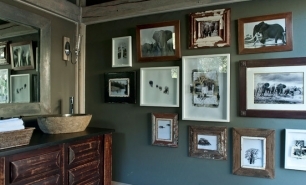 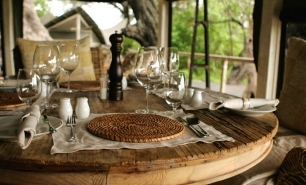 The meals are excellent and can be considered on a par with leading restaurants in Cape Town. 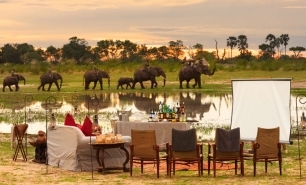 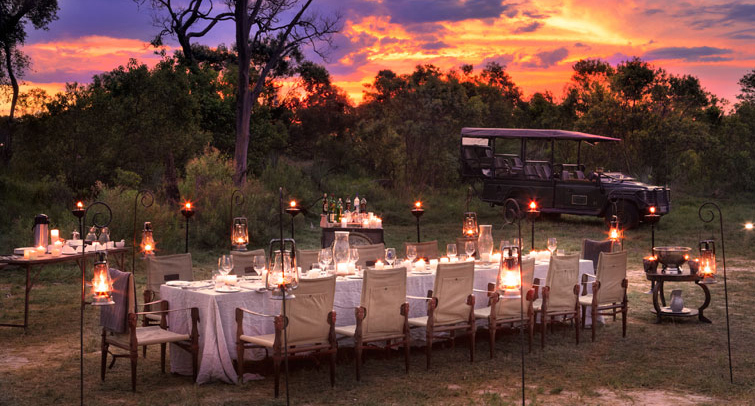 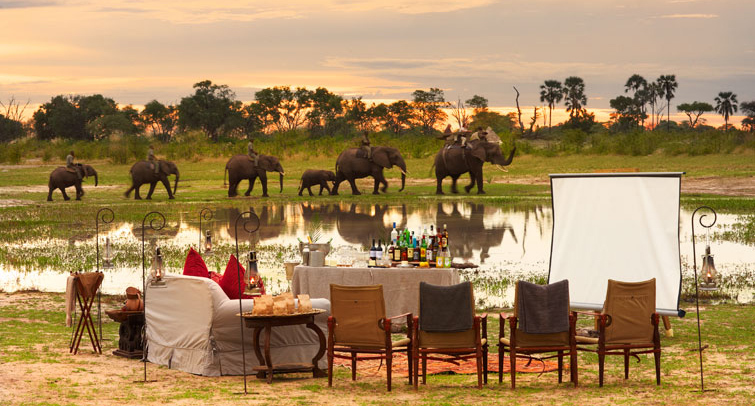 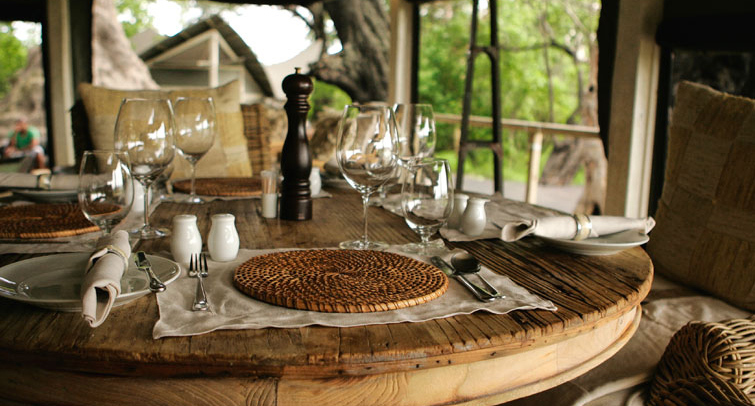 As with most camps in the Okavango, game-viewing at Abu is conducted by means of a customised safari vehicle or, at the time of the annual flood, by makoro (local dugout canoe). 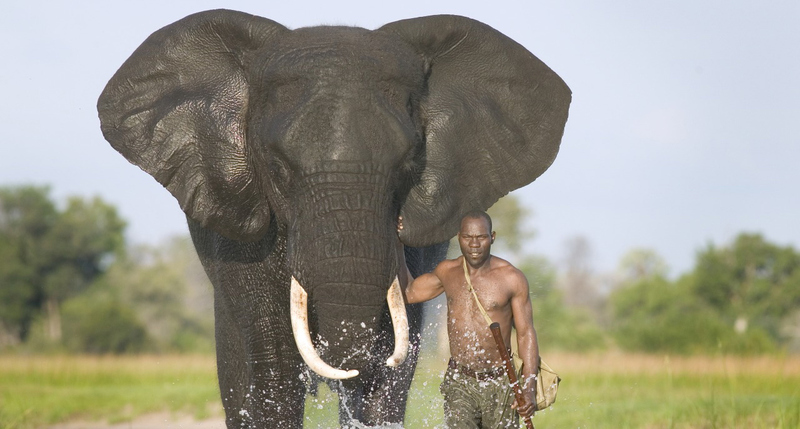 Sightings of large game species, including lions and leopards, are common and the bird-life is prolific. 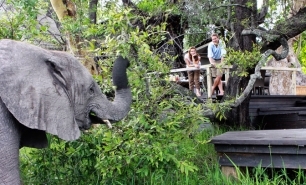 Children aged 6+ are welcome at the camp. 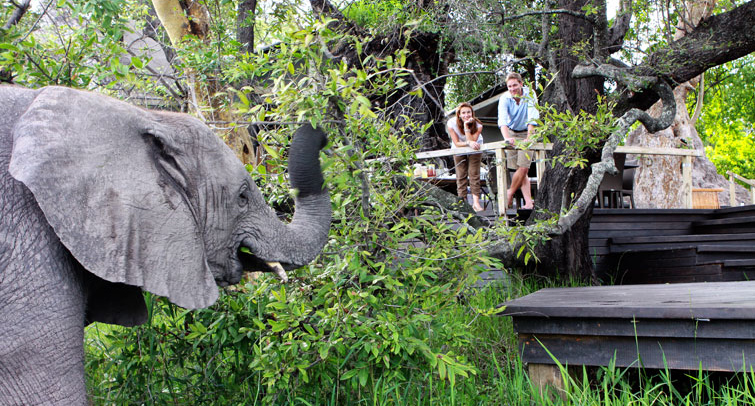 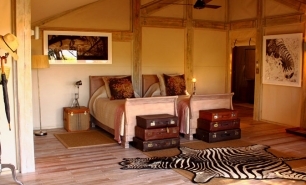 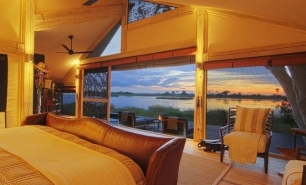 The camp is accessible by charter plane from Maun (MUB) airport in northern Botswana.